Both a yoga teacher for over 16 years and a passionate teacher of teachers, Lila is dedicated to the experience of Yoga -- a union and skillful engagement with Life -- and to sharing this with the amazing practitioners she continues to meet on her journey. One of her great joys is to guide practitioners into a space of true transformation, encouraging them to discover, honor, and gracefully reveal their most authentic nature through the practices of yoga, evolutionary astrology, meditation, and their overall approach to life. 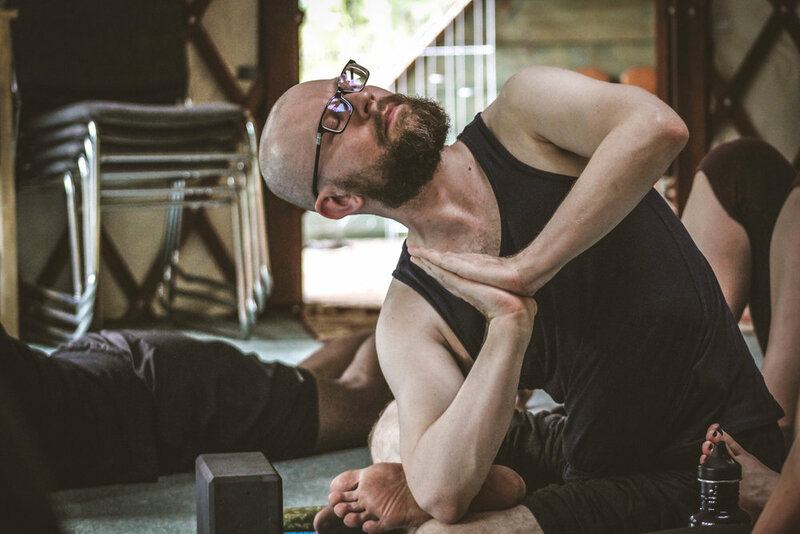 Lila's teaching incorporates skillful alignment and action in the body with yogic myths, philosophy, the evolutionary astrological lens, and direct experience, to create a rich, profound, and soulful experience both on and off the mat. Lila currently offers yoga classes, workshops, teacher trainings, and retreats internationally, and feels grateful to continue her studies with her primary teacher Adyashanti, as well as other powerful and inspiring voices of non-dualism, such as Bill Mahony, Douglas Brooks, and Sally Kempton. Lila also offers deep bows to her evolutionary astrology teacher Steven Forrest. Her love of practicing evolutionary astrology has been a perfect complement to the yoga practice, and she feels honored to create a space of magic and healing where her clients feel supported to transform in the most radical of ways. 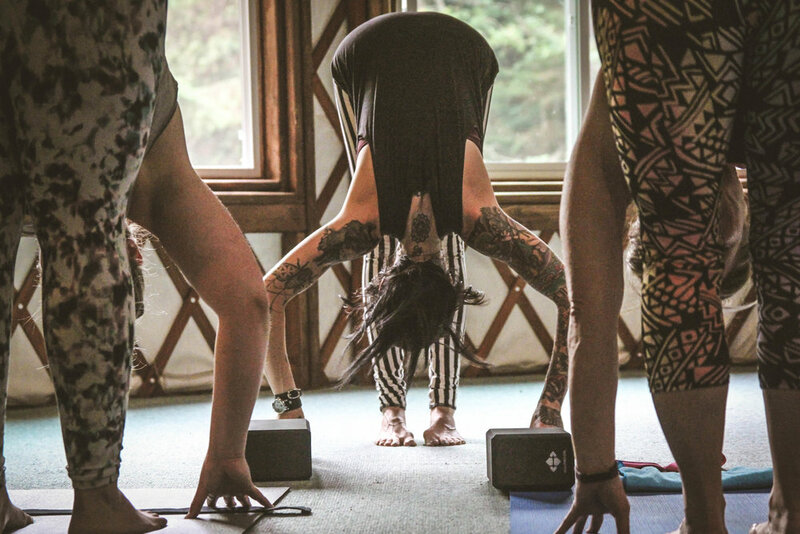 From 2006 to 2011, Lila owned and directed Gateway Yoga in Raleigh, NC, a yoga studio dedicated to the life-affirming principles of Anusara Yoga. Over the years, Lila has had the honor of teaching at the American Dance Festival from 2008-2012 in Durham, NC; at EnvisionFest in Bahía Ballena, Costa Rica; Lightning in a Bottle in Temecula, CA; Basscoast in Merritt, BC; Blessed Coast in Squamish, BC; international retreats in Mexico, Costa Rica, Nicaragua; and in many parts of Canada and the US. Lila played the role as Creative Director at the Vancouver School of Yoga from the Spring of 2016 through the Spring of 2017, before spreading her wings to be more available to Life's flow in the US, Canada, and beyond. Through her yoga school, the Revolution Yoga School, she continues to co-create and offer programs of excellence in the yoga community, empowering teachers to authentically step into the seat of the teacher with confidence and grace. Her twelve years of facilitating yoga immersions and teacher training programs has given her the ability to refine her craft, as has owning and managing her own yoga studio for 5 years, and offering her heart through these elegant practices. Lila is currently studying Chinese Medicine at the Academy of Classical Oriental Sciences in Nelson, BC. She's thrilled to be accessing more tools to help people live in transformative, conscious, and harmonious ways. She feels blessed to be on this grand Life Journey! Lila began her fascination with exploring life through movement when she was 3, dancing everywhere she went as a young lass. Her exploration continued from there, including dance classes for the next 15 years. Lila's dance experience was mostly ballet with some years of modern sprinkled in, and she spent much of her adolescence in pink tights, a black leotard, and pointe shoes. She gained much from this adventure, including chronic low back pain and sore feet, as well as a depression that came with rigorous training, not enough nourishment, and a self-destructive pattern that led her to needing relief in a big way. The first yoga class Lila attended was at the Student Rec Center at UNC right after beginning her first year in college, and after this class she was hooked. She knew she'd found something she'd been looking for (although perhaps subconsciously) for years; this was the relief she needed. Lila started and continued a daily practice soon thereafter, and decided after a few years to pursue becoming a yoga teacher. While the deeply rooted unhealthy patterns stuck with her for some time, the practices of yoga and meditation gave her the amazing tools she needed to begin getting to the root of the issues and eventually integrate them, thanks to many mentors along the way. Lila's college experience was steeped in spirituality and mysticism, something she is naturally drawn toward as a 12th House Pisces. She found a spiritual teacher on her path at a young age, and this catapulted her further along her life path. Lila first attended Stephanie Keach's program at the Asheville Yoga Center and graduated in 2002, the same year she graduated UNC-CH with Honors and a BA in Cultural Anthropology. She began teaching yoga her senior year in college, and it was also this year that she began pursuing her studies in Anusara Yoga. Lila loved the philosophy and overall approach that Anusara provided, and it gave her an amazing method to work with that informed her studentship, teaching, and overall approach to life for years to come. Lila became a Certified Anusara Yoga Teacher in 2005 and taught classes, workshops, retreats, immersions, and yoga teacher training programs in the community and abroad. In February of 2012, Lila resigned her licensing with Anusara Yoga to continue pursuing teaching Yoga and practicing Evolutionary Astrology. Lila has been teaching Revolution Yoga classes, therapeutic sessions, workshops, teacher trainings, and deepening programs, inviting students to truly savor their experience of the yoga practice and of life itself. A yoga teacher for over 15 years, Lila continues to bring meaningful philosophy, skillful alignment, clear energetic principles, and a deep love for the amazing practice of Yoga to her teaching. She's led yoga retreats and service projects in Nicaragua, Costa Rica, and Mexico, bringing her love of people, anthropology, and yoga together. Lila also finds her evolutionary astrology practice deeply fulfilling, offering skillful and insightful readings to her clients on a weekly basis, and offering workshops when called. She honors how its guiding principles keep her engaged, inspired, and connected to life's deeper meaning each day. She feels blessed to be doing this work on the planet!